This velvet accent chair exudes style and is soft to the touch with a luxurious satin sheen. 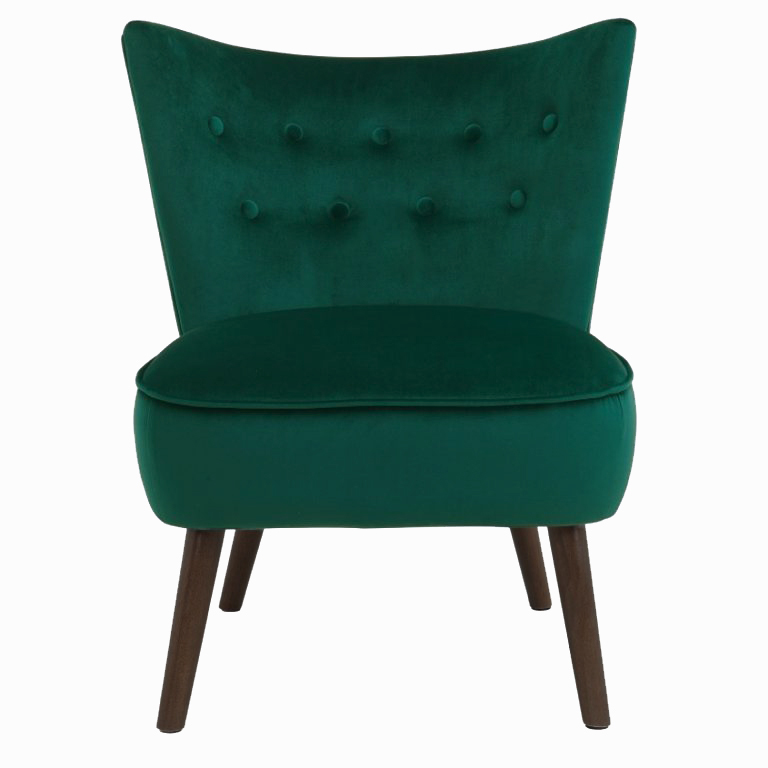 This beautiful emerald green chair with mid century modern styling and modern wing back with button tufting is a great addition to any space. 25" x 28" x 29.5"